'Zimbabwe crackdown a sign of things to come' - SABC News - Breaking news, special reports, world, business, sport coverage of all South African current events. Africa's news leader. 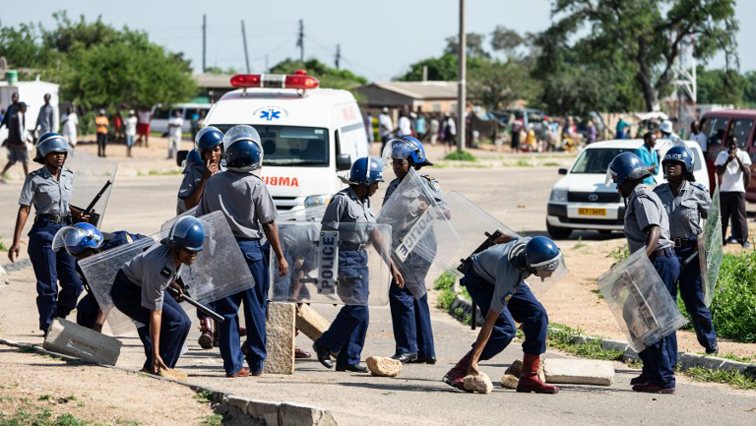 Police say three people died during protests over fuel price hikes in Harare’s capital and second city Bulawayo that turned violent. A crackdown last week on protests in Zimbabwe is a foretaste of how the government will respond to future unrest, the president’s spokesperson said, fueling concerns that the country is reverting to authoritarian rule. “The government will not stand by while such narrow interests play out so violently. The response so far is just a foretaste of things to come,” said President Emmerson Mnangagwa’s spokesperson George Charamba. Lawyers and activists say hundreds of Zimbabweans were detained last week accused of public order offences, including at least four lawmakers from the opposition MDC party and Evan Mawarire, a pastor who rose to prominence as a critic of former leader Robert Mugabe and who also led a national shutdown in 2016. This entry was posted on 20 Jan 2019,03:10PM at 3:10 PM and is filed under Africa, Homepage Latest Stories Slider. You can follow any responses to this entry through the RSS 2.0 feed. Both comments and pings are currently closed.